At Office Depot and Office Max, ourRetail Sales Associate/Sales Consultant is responsible for engaging and providing an exceptional customer service experience. The associate must quickly build ongoing customer relationships and become a trusted advisor by utilizing advanced selling skills and knowledge (including cross-selling of products and services) to meet the customer’s needs. The associate in this role demonstrates a passion for the brand, product and services solutions knowledge. 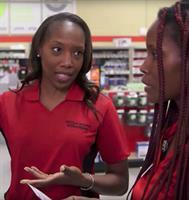 He/she will utilize Office Depot’s proven sales principles to proactively engage customers. The associate must quickly develop product and solution expertise in key areas such as technology, furniture, with a general understanding of copy and print.